It’s not unusual for companies to form strong ties with their local communities, fundraising for nominated charities through sponsored bike rides, dress down days or community clean-up days. One firm on the Team Valley, however, has been taking corporate social responsibility to a whole new level for more than 50 years. Since 1961 the Kavli Trust’s sole purpose has been to generate profits for good causes through its commercial businesses – yet it does so discreetly and has only recently started to make its customers aware of the vast amount of charity work it does. The Norway-headquartered firm’s ethos and positioning within its communities made it a perfect match for Paul Lewney, who was headhunted into the sales director role in 1996 and later into the MD seat in 2008. Now in his late forties, Paul has worked in the consumer goods industry all of his career, pretty much working his way around the supermarket aisles among some very well-known brands. Yet he is at a time in his career where he wants to give more back to the community, personally and professionally. Born in West Derby, Merseyside, Paul’s scouse accent – and sense of humour – is very evident despite living in the North East, in Alnwick, for 17 years. He talks with speed and enthusiasm about his career, and his passion for Kavli UK and all of its products – Primula cheese and dips in Gateshead, Castle MacLellan Foods which makes Scottish pate in Dumfries and St Helen’s Farm producing goat’s milk, yogurt and cheese in Yorkshire. The son of a butcher, he learned a great deal about the food industry from his father, so it was natural for him to go into the industry after studying business at De Montfort University in Leicester (although a careers advisor once thought he’d make a great farmer). After joining a management trainee scheme with Sainsbury’s he swiftly rose through the ranks to become the youngest grocery manager at the time in the UK. Spells at Danone, Schwans and Sara Lee followed, managing large accounts of household brands including HP, Amoy and Chicago Town pizzas before he was approached by Kavli to become sales director – but he admits he had to do his research before holding initial meetings with directors. “When I got the telephone call saying there was a company called Kavli interested in me, I said ‘who?’,” he says. “Everyone knows the brands – especially Primula and its squeezy tubes – but who knew it was made by Kavli? With his main office at Kavli UK’s headquarters on the Team Valley, Paul oversees the firm’s three operations, led by Primula which has been operating in the region for 90 years. A staggering 15m tubes of the cheese – just melted cheese, butter and fresh ingredients like chives or ham – are made at the site every year and it’s a formula that has barely been altered over time. Regular trips are also made to the 90-strong team at pate makers Castle McLelland in Kirkcudbright, which joined the group in 1997, and to St Helen’s Farm in York, which was acquired in August 2013. All told, the firm has 250 staff, 110 of whom are on the Team Valley, and business is strong. 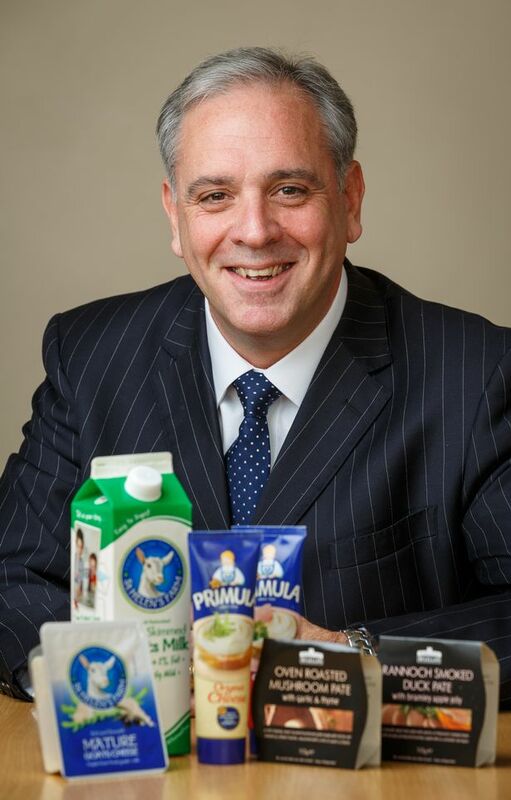 St Helen’s Farm’s goats’ milk, cheese and yoghurt now have 60% of market share, Primula has grown by 50% in the last 15 years taking turnover to £17m, and capital investments of £5m at Castle McLelland are on course to see the business double in size over 10 years. 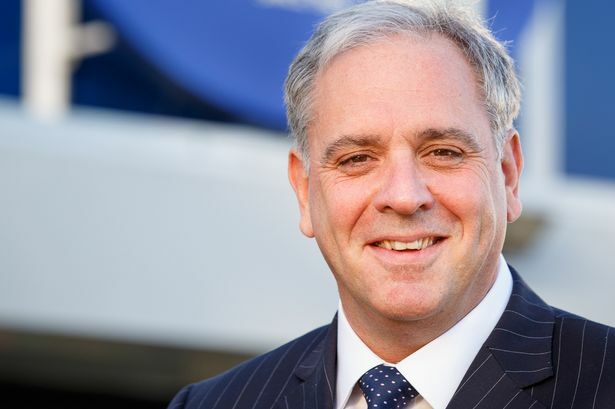 But Paul has set himself the huge plans of more than doubling UK sales from the total group figure of £43m to £100m in time for Kavli’s 100th birthday in nine years. And this is where Kavli sets itself apart from other firms. Delivering impressive profit totals isn’t for the board’s benefit – it gets ploughed into community, and in vast sums. Founder Olav Kavli and his son Knut Kavli were determined to carry out their business with the intention of ‘giving more back to the local community than just taxes’. Three years after Olav passed away, his son set up the Kavli Trust in 1961. Knut had no children to take on the business and looked for a way to ensure that its social conscience was secured for the future, so took the bold decision to establish the charitable foundation which would be the sole owner and shareholder of the Kavli business. Paul explains: “After we take away investments needs – if we have to automate or invest in our marketing brands and so on – we dividend up the profits that are left over to Kavli Trust, who then decides how they want to utilise that money on a local and worldwide basis. A great story, but one that’s largely unknown – a fact Paul is setting about improving. “We have now put a stamp on all the tubes ‘profits will go to charity’ so our customers are aware if they read the pack,” he says. “But it’s something that we’re trying to improve because I think it’s part of the decision-making process for the consumer. At a local level Kavli UK has been quietly donating money for years, to charity and community projects including The Bubble Foundation, Washington Riding School, Cash4Kids, grants for school minubuses or sensory rooms and dementia research. “The critical difference is this is our whole reason for being,” says Paul. “There are a fantastic number of companies out there who do a great deal of work and give a percentage of profits to charity which is fantastic. Anything that you give back to society to help those who need it, is superb. There may well be additional products joining the stable soon, as Paul says the firm is actively looking to acquire other businesses that would make a good fit. The organic growth is buoyed, Paul believes, by Primula’s enduring appeal. Low fat versions and seasonal limited edition flavours are brought out to help grow the customer base, and the traditional dairy maid has also been brought back to the packaging, together with the profits label. “It’s a fantastic product. It’s got that history, it’s got that tradition. You can see from the buildings we’re based in that we’re traditional in that sense. “We’re in a mature building that’s been here for 50 years so it’s important to invest in brands and make sure they’re relevant to our consumers and to keep them updated. Overseas sales for all the firm’s products currently account for around 5% of sales, predominantly to areas where expats live in Spain, Greece and Malta, as well as limited exports to the US. The food service sector, however, is a growing market for the firm, especially for its pates which are sold in a number of chains including some in the Whitbread estate. Supermarkets will always be the focal target for Paul and his team, hence his frequent visits into all of the chains from discounters like Aldi upwards, to gauge emerging trends. “Your product has to have a reason for being in supermarkets,” he says. “Historically if you had a new product and a reasonable level of success with launches, supermarkets would just give you a space. As well as spending time visiting stores and attending trade meetings, Paul was until recently chairman of Grocery Aid, the charity established to help grocery industry workers who have fallen on hard times. He is now a trustee of local charity The Key, which helps local children aged 12 to 17 “unlock their potential”. They can apply for funding for small projects to help them undertake and plan events. “It can be as simple as going to the cinema. They have to organise it, document it and then feedback what they’ve learned from it,” he says. “For some kids, making a step of going to the cinema can actually be a big thing for them. It’s about empowering them and it’s a fantastic cause. It’s not large but it does fantastic things. “I’m sure presenting to a board is good experience and it’s an important time in their development. “I enjoy charity work because I think it gives me opportunities. “I’ve been very fortunate. I’ve had a pretty successful career and like to think I’ve worked hard to get there, but this gives me the opportunity to put back in, to get involved in the charities. “Now, more locally, I feel I can add value. I’m not interested in going to sit on a board, nod my head and just look at numbers and congratulate everyone for doing well.